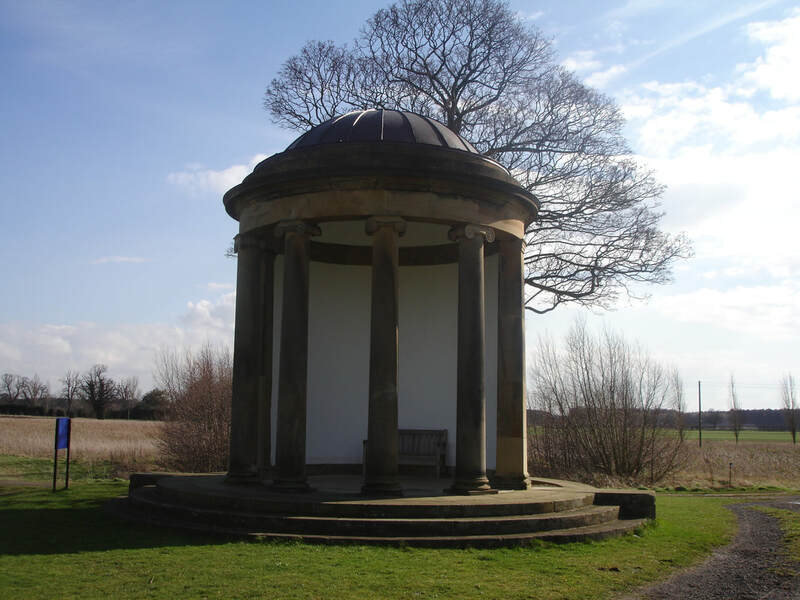 The Temple at Escrick Park was restored with a grant from DEFRA. It is on a two mile circular permissive footpath. 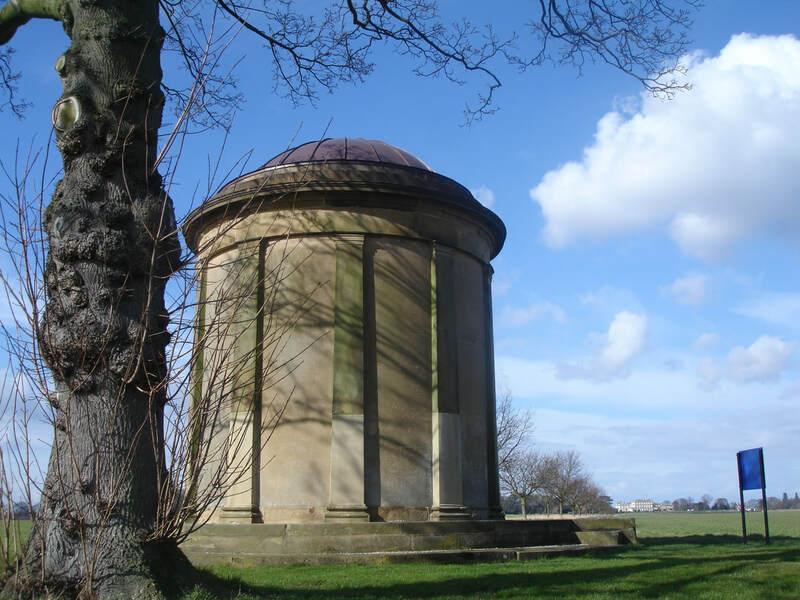 The coach house and stables were designed by John Carr and built in 1763 for Beilby Thompson.